Nearly everyone has heard about obsessive compulsive disorder (OCD), but not many people truly understand this mental health condition. OCD is perhaps the most-joked-about mental illness in pop culture—Joan Crawford in Mommie Dearest, frantically cleansing her skin every morning, comes to mind. Yet what’s portrayed is a far cry from what people with OCD actually experience. About 2.2 million adults in the U.S. (1% of the population) have OCD, and it’s a chronic disorder that can consume a person’s life. As the National Institute of Mental Health reported, more than half of adults with OCD stated that their condition severely impaired their functioning when it came to their work or school responsibilities, home/family life, and social life. So it’s beyond time for the rest of the population to realize OCD is no joke. HelloGiggles asked psychologist Dr. Jenny Yip every question about OCD that we could think of in hopes of wiping away some of that stigma and misunderstanding. Dr. Yip is a specialist in OCD who founded the Renewed Freedom Center in Los Angeles, an OCD and anxiety-focused treatment facility. Along with providing patient treatment, Dr. Yip shares her expertise on social media and in her podcast, The Stress-Less Life, to help end the stigma surrounding mental illness. Our conversation with her not only provides information about this commonly misrepresented condition, it also highlights why education about OCD is so essential. 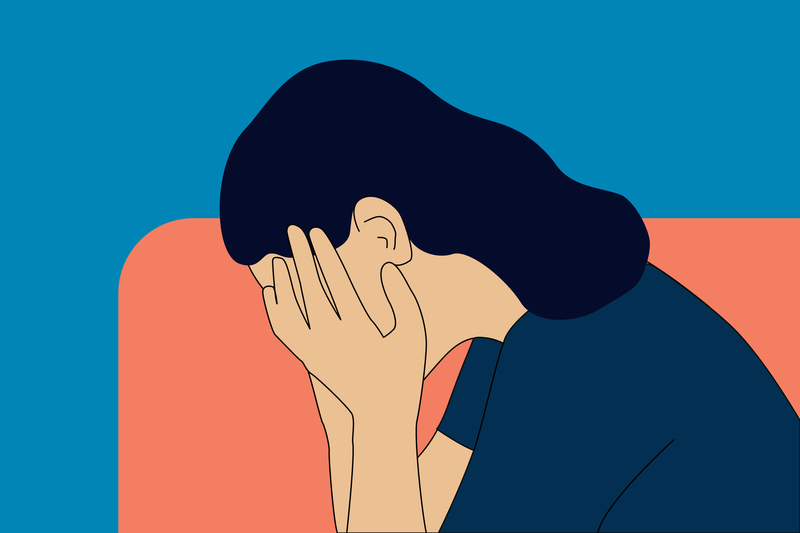 Whether you know someone with OCD, want general information, or have (or think you may have) OCD yourself, this Q&A with Dr. Yip outlines all the basics you need to know about this mental health disorder. How are obsessions and compulsions defined? “Obsessions are unwanted, intrusive thoughts, images, or sensations that repeatedly appear in your mind against your will. It is similar to a nightmare that keeps replaying like a broken record, completely involuntarily. Compulsions are actions that we perform, whether behaviorally or mentally, in order to escape from the discomfort that the obsessions produce. The relief is only temporary before another obsession quickly returns that requires the sufferer to perform further compulsions. Giving into these compulsions can be crippling, and severely impair daily life. What are some common obsessions and compulsions? Are there different types of OCD, and what are they? “There are many subtypes of OCD, many of which are outside the most ‘common’ forms, which is why it can be a difficult mental illness to diagnose. Obsessions can manifest in unpredictable ways, not just as the hand-washing behavior most of us have seen in the movies or on TV. Is it common to have other mental disorders accompany OCD? What are they? “Yes, there are many mental disorders that can often accompany OCD, some of which include depression, social anxiety, panic disorder, trichotillomania [compulsive hair pulling], body dysmorphic disorder (BDD), and olfactory reference syndrome (ORS) [unfounded belief that you’re emitting an offensive body odor]. Are there other mental disorders that may seem like OCD but aren’t? “Many anxiety disorders may seem like OCD. For example, generalized anxiety disorder (GAD) can often be confused with OCD in the sense that both conditions involve experiencing intense anxiety. The difference between GAD and OCD is that OCD involves involuntary, intrusive thoughts that are often irrational along with compulsions that serve as relief from these thoughts. Someone who has GAD, on the other hand, usually will have intense worries and anxiety about everyday life without specific compulsive behaviors to gain relief. How can OCD impact a person’s day-to-day life? “I think what a lot of people don’t understand about OCD is how debilitating it can be. It can completely deteriorate a person’s life and daily activities. A sufferer is no longer able to function. He or she can’t go to school or work. OCD can get so bad that the sufferer begins to avoid family, friends, social experiences—everything. Do we know what causes OCD? Is it genetic? Is there a way to prevent OCD? What are some signs that I should speak to a medical professional? “The evidence-based treatment for OCD is exposure and response prevention (ERP), which is a form of cognitive behavior therapy (CBT). This is not simply the traditional talk therapy or play therapy. In CBT, you learn specific tools that you must practice to become skilled at defeating OCD thoughts and behaviors. Part of CBT involves recognizing the faulty thinking patterns that fuel the fears of OCD. Like any new skill, you will learn by practicing CBT to discredit distorted thinking patterns so that your thoughts will reflect reality more accurately. It’s like exercise for your brain. How can medication help OCD? Are there ways to manage my OCD on my own? Will my OCD ever go away? Are there things I should avoid if I have OCD? What should I do if I think a loved one has OCD? How can I support a friend or family member who has been diagnosed? “The most important part of supporting a friend or family member is to establish boundaries. Let your loved one know that you care for them and are there to support them—not their OCD. What are some common assumptions about OCD that aren’t true? I’m ashamed to talk about the fact that I have OCD. Is there any reason to feel embarrassed? How can I make people understand my diagnosis—and me—better?